Here’s a veteran that’s still going strong — a first-run Bark River Knives Gunny. It was six years ago when the drop-point Gunny emerged on the scene, becoming the second sibling to the larger Bravo 1. Originally offered only in A2 tool steel, these days it’s also available in CPM 3V, CPM S35VN and Elmax. 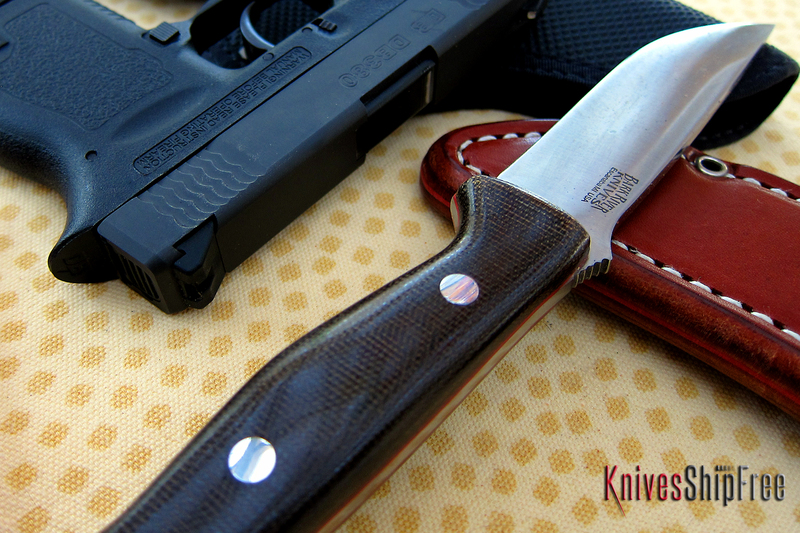 In addition, there’s now a Gunny Hunter version, which Bark River produces in CPM 3V, CPM S35VN and Elmax, plus a Gunny Clip Point Hunter in CPM 3V. 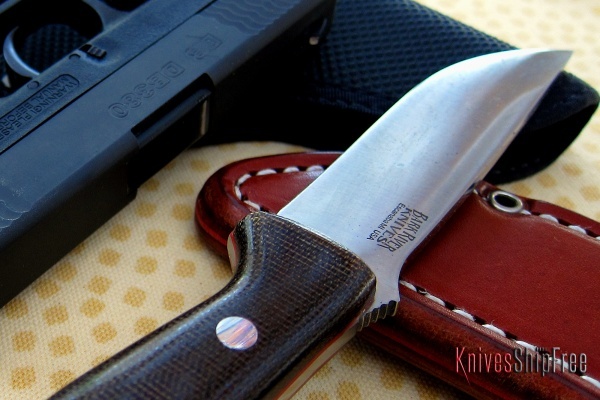 This entry was posted in Bark River Knives, Hunting, Sheaths and tagged Bark River, Leather, Micarta. Bookmark the permalink.